I've said it before and I'll say it again: I adore magazines. The shiny covers, the photos, the content... Even the ads have aesthetic appeal to me. Sitting down with an immaculate new glossy is a treat and an occasion that warrants peace and quiet and a freshly brewed cup of tea. However, I don't like them as much as I used to. 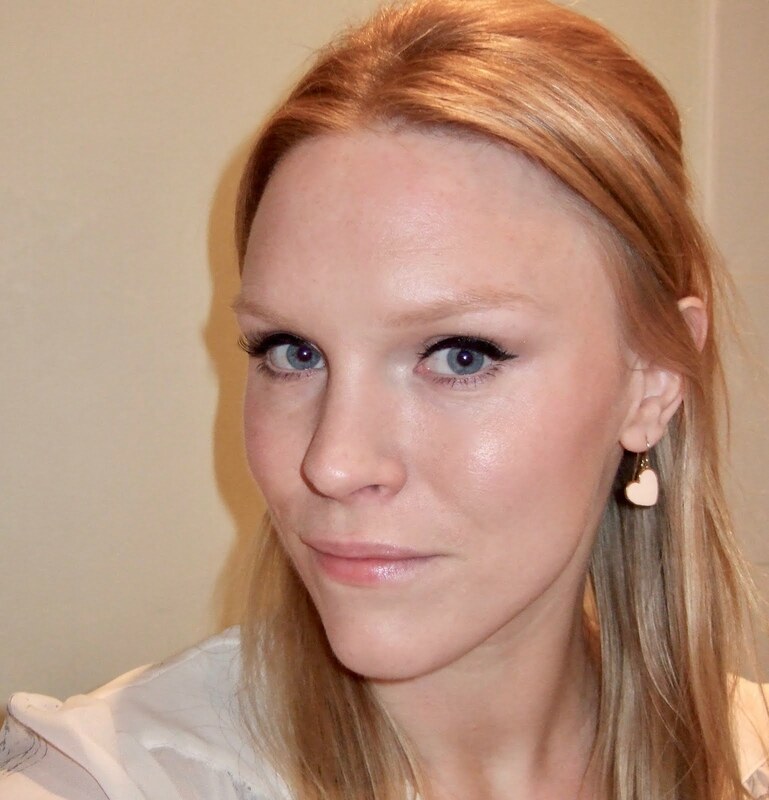 My experiences in journalism and blogging have taught me how advertising- and money-motivated the content is – when the beauty editor says she loves something, she has to say she loves it because the advertisers pay her wages. Magazines give me ideas: blogs provide the reality behind beauty editors' suggestions. 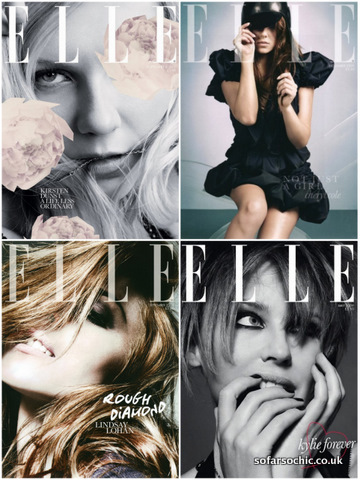 I always loved ELLE but it's really lost its shine through ever more annoying attempts to be 'cool'. The fashion pages are unwearable and abstract and the modular, formulaic layout of the articles bores me before I've read a word. As a subscriber I felt increasingly disappointed and irritated with the crap 'subscriber covers'. Black and white close-ups where half of the person's face is obscured by hair? What an exclusive treat! As an editor of careers magazines I'd help to choose the cover images for my publications: a bad cover really bothers me. I want glamour, not Kirsten Dunst with one eye. Subscription not renewed. My favourite for the past few years has been Red. Apart from a few irrelevant articles about having kids, how kids make mess, how busy women are after they have kids... it's all good. Hugely readable, gorgeous fashions (thanks to SFSC girl crush Laura Fantacci at Wearing It Today) and aspirational home and cooking pages too. I loved this Cat Deeley cover from July 2011. Glam, fun and summery. I am totally with you on this one, I always describe myself as a magazine junkie, I just love them. Red has really remained one of mags throughout. I had a similar experience to your Elle Fatigue with Grazia magazine. I used to love Grazia, a weekly that was intelligent, written by women who weren’t all about the latest reality tv craze and like you mentioned featuring wearable fashion. Then all of a sudden it started to “dumb down”. Phrases like “P Middy” were used to describe Pippa Midleton, they had an awful female columnist who was more like a child straight off the school yard than a savvy woman I could admire. I rarely buy Grazia these days but my Red Subscription remains constant, its a little more grown up and the writers seem to have a good grip on reality. It has features about reading books, how to be a successful business woman etc Like you I’m a non breeder and I can even stand the articles based around children. I want more magazines that are aimed at normal, bright, intelligent women who love books, gadgets, travel etc etc etc At the moment, RED is the only one for me. Another Red Mag fan here too. My favourite used to be Marie Claire Health & Beauty which was just about health and beauty (believe it or not!). Gutted when it folded - why can we not have an Allure in UK? Eve was pretty good too *sigh* Nostalgia rules okey kokey ;-) This is my kinda post La thankyou. really agree with you re elle stopped reading it years ago. 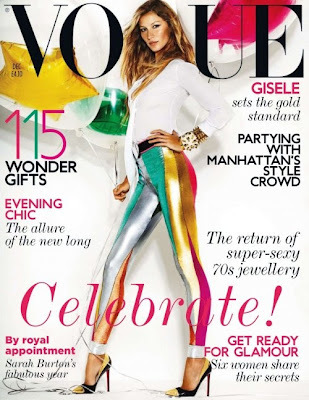 i subscribe to vogue but have issues piling up as i dont have time to read them. know what you mean about the beauty pages now they seem a bit pathetic since i discovered beauty blogs especially since i will have read about all the products they're featuring weeks / months before! i'm another big red fan, its intelligent and has a good mix of articles. though must admit i am still addicted to home magazines, subscribe to elle decor as well (my poor postman!) and always enjoy that. @Jan - I used to like Eve too. One day there will be no paper magazines - imagine that! I definitely agree to an extent, although I think I'll always enjoy reading magazines - just not as many as I might have read in the past. Red is definitely becoming a favourite and I love Elle but it can be a bit repetitive.